Road In To The High Mountains Between Rocky Cliff At Night In.. Stock Photo, Picture And Royalty Free Image. Image 113582523. 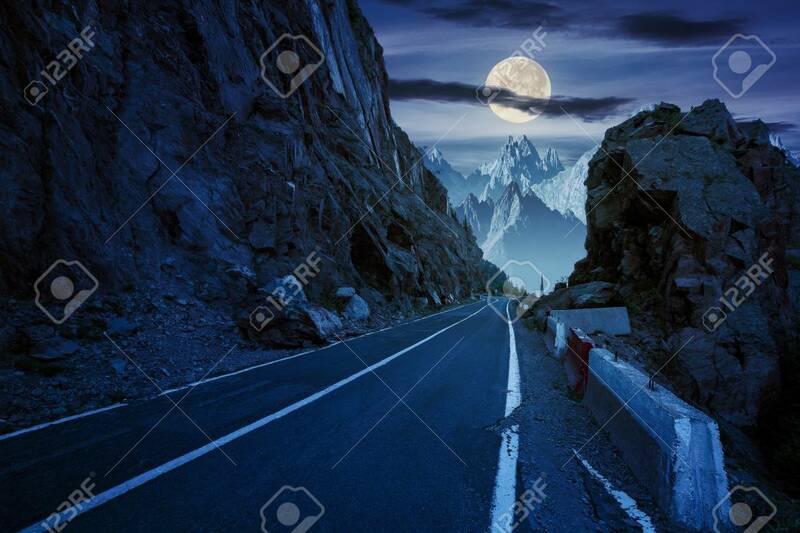 Stock Photo - road in to the high mountains between rocky cliff at night in full moon light. composite image of dangerous path to the dreams. road in to the high mountains between rocky cliff at night in full moon light. composite image of dangerous path to the dreams.